« New Zealand – Where did that warming go? The rift between real science (the pursuit of truth) and PR-science (the pursuit of of money and power) is growing. Associations like The Royal Society, the APS, and the American Chemical Society are beginning to fracture internally as eminent members reject the unscientific pronouncements made on their behalf by small “secret and stacked” committees. Hal Lewis comes from the elite upper levels of science — a physics professor at University of California (Santa Barbara), and a member of the Defense Science Board (a group of the top 40 or so, advising the Pentagon). He’s resigned from the American Physical Society (APS) today, after 67 years. 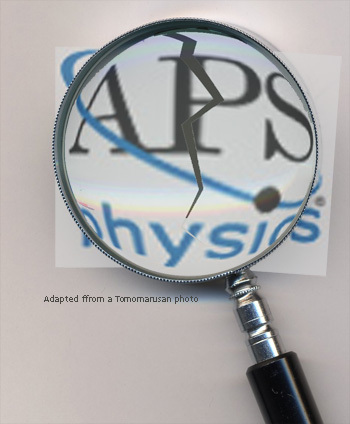 The APS is the world’s second largest organization of physicists, with 48,000 members. He is scathing of the fall from grace of the once renowned institution. In his letter (thanks to Benny Pieser at GWPF) he describes the lengths that the current APS board has gone to, to avoid allowing any discussion about the science of global warming. They use outrageously incorrect labels and describe conclusions of the immature, highly uncertain branch of climate science as “incontrovertible”. Lewis refers to this as a “poison word” which describes few items in physics, certainly not this one. When Lewis and others protested the APS appointed secret committees that never met, didn’t speak to any skeptics, yet endorsed the original ridiculous statements in support of the theory of man made global warming. The APS ignored it’s own constitution, refused to provide contact details for members, ignored a petition signed by 200 names to review the original unscientific endorsement of man made global warming. Instead of setting up a Topical Group on Climate Science, they ran a poll of members “interest” in setting up a vague group and formed another secret and stacked committee. Hal Lewis laments that the giants of science are long gone, replaced with people seeking money and jobs instead of the truth. The good name of science has been exploited. It’s time for real scientists to take a stand. The 2009 APS response to the request to reconsider it. Their blog “discussion” — amounting to all of 9 comments. I posted a comment at the time which was not agreeable enough for the censors apparently. His resignation letter can be read in full at GWPF or Watts Up. H/t to Steve, Bob, MadJak, Bob Ferguson, Benny Pieser, Anthony Watts. It should be pointed out here that Hal Lewis is not whole and pure here either. Documents at Sourcewatch prove that in 1972 Mr. Lewis had a neighbour whose 2nd cousin’s wife had a friend that knew somebody that used a proctologist who received a free 8 oz. glass when filling up his tank at an Exxon station during the 3rd week of July in a remote village in Kansas. As you can plainly see, Mr. Lewis is in the pay of “big oil” and is just another AGW denier. It is great news, a long way to go but this is a salient point achieved in the battle against this political scam. Thank you Jo. and Professor Lewis. The world that calls itself scientific is fracturing. It stopped being scientific in any meaningful way a long time ago. Just about the time it started accepting grants (redistributed tax money) from the government in place of actually earning it. There is one thing to do an application specific project under contract and quite another accepting open ended government grants. The contract is specific and time limited. The attached strings are clear and explicitly defined. You cannot pretend not to know what you are accepting. You might complain that you are not doing science but, at least, you are doing things openly and honestly. If you perform to contract you have earned the money. The open ended grants pretend to have no strings attached but they are there and totally insidious. You can pretend you are doing science but, in the end, you are serving only political goals. What you do, how you do it, and the results you find will be dictated by the government. Otherwise, you do not get your continuing grant upon which you have grown dependent. It is NOT science by any rational definition of the word. It is intellectual slavery without honesty or honor. In the end, pretense does not work. At least not any place other than for entertaining children or somnolent adults. It has been held that perception is reality. Well, we are seeing that its the other way around: reality dictates our perceptions and our continuing ability to perceive – in the long run. The long run is NOW! A. Government benefits from the Media. etc. see link for more.. Recently I wrote an article for Czech science popularization web page Osel. It was about climatic sensitivity based on Dr. Spencer results. From the very beginning Mr. Wagner of the Czech Science Academy attacked it as the very example how science popularization should not be conceived as I ridiculed the Carbonari. The article had extraordinary acclaim. Nevertheless Osel editorials, thought they love high acclaims, ceased other cooperation. It is sad for professor Lewis, and sad for science that things have come this far. I respect his courage. Unfortunately I suspect younger scientists with many years of career ahead of them will not want to put their careers and income in jeopardy to follow in the footsteps of this climate science whistle blower. Other scientists would be more likely to follow the example of Professor Lewis if they consider the consequences of keeping the status quo. If the cloak of science is still covering AGW when it is exposed as a fraud; science itself will be labeled fraudulent. Scientists who continue to support AGW are not just betting their future careers, they are betting on the future of their profession. Rightjab » Blog Archive » pseudoscientific fraud of a lifetime. We’re sorry, we were unable to find any content for this section. Don’t worry, when the UFO’s get here they will set that uppity scientist straight! It seems to have fractured into two groups, those that publish in peer reviewed journals and those that publish in web blogs. Athelete: LOL LOL you crack me up. hahahahaha. For those yet to see it, there is a verbal stoush between Robinson and Rachel Maddow about his running for the upcoming election. The interview goes nowhere as Maddow implies Robinson is on the fringe, Robinson will have none of her attack and spends most of the time on the counter attack. The fracturing started a long time ago – Charles Lyell started it whith his uniformitarianism to counter the Tory belief in the scriptures as the basis of political authority. Lyell was politically successful but the real tragedy was science, then the nascent one of geology, and until that scientific corruption is corrected, little else matters in the long term. Climate Depot has provided this link to an extraordinary interview by Michael Coren of CTS in Canada with Dr. Tim Ball. Again, here is an eminently qualified scientist who has been vicously vilified for sticking to the scientific method but is willing to stand up and tell it how it is. No “shelly” (14), the two “groups” are those that are LIERS, reliant of government grants and perpertrating the greatest FRAUD in the history of mankind and those that are truthful, honest, have morals. Which group do YOU belong to??? Young scientists would do well to take note of Hal Lewis’ stand. I work with alot of “yes men” who are afraid to take any risk and they simply toe the company line even when they know it is wrong. Their reasoning is that if anyone complains, they can just blame the boss. I remind them that there are no statues or memorials to “yes men”. “Question with boldness even the existence of a God; because, if there be one, he must more approve of the homage of reason, than that of blind-folded fear.” Thomas Jefferson. The complicity of the American press in suppressing Professor Lewis’s letter is breathtaking. The only copy I have seen here outside the climate community is from the UK Telegraph! Not even in Google – at least the first 3-4 pages. Of course Google is in on the AGAW scam too. Surely you jest. An obscure American physicist in his dotage falls for the “climategate” scam and you want it reported in the newspapers? Hey, I had an almond croissant this morning, do you think I should ring The Australian and let them know? Someone who is not a climate scientist resigning from an organisation of 48 000 because he thinks climate science is a fraud? You guys are clutching at straws now. That’s not news. Where is the evidence of fraud? ClimateGate? Only those of you stuck in an information vacuum would bring up ClimateGate. Have you noticed that the mass media is deathly quiet on the issue? That’s because six independent commissions could not find any evidence of scientific malpractice. ClimateGate was nothing but a PR/media beat up that had no effect on the structure of the AGW theory. Can any of Jo Nova’s proteges think of an example of scientific fraud carried out by climate scientists? Is there any evidence to back up your points? And what are your thoughts on the investigation into Wegman’s academic misconduct? Another thing – has anyone here actually read the Royal Society’s recent summary report on global warming? How does it even contradict the IPCC 2007 working group 1 report? The Royal Society have essentially summarised the IPCC’s 2007 physical basis report, and then The Australian publish a misleading opinion editorial claiming that scientists are suddenly being “refreshingly honest” about the uncertainties. Jo repeats The Australian’s angle here. It seems she’s got no real interest in science (despite the long-ago undergrad biology degree): she’s just another partisan hack. Dear Oh Dear! “…an independent commission…”; You surely must be jesting! Up here we call them Whitwashers. You surely must be jesting! Up here we call them Whitwashers. Is that because you disagree with their findings? Or do you have compelling evidence to show that the six commissions where indeed six “whitewashes”? Dare doubt dumb danger dear. Dear Oh Dear: I am going by reports of whitewash at CRU, Royal Society, and University of Pennsylvania. You can find these in the climate community websites. I did not know there were six. What were the others? Dear Oh Dear again. Just a minor point but you might not want to disparage biology degrees. Besides Joanne, here in the USA some of the biggest names in the slimate (a typo, but now I rather like it)scam started out as biologists. Steven,Schneider (R.I.P. ), Obama’s chief scientist John (climate interruption) Holdren, and their comrade cabalist Paul Ehrlich of Population Bomb fame, who has been known to dabble in cli-horror stories from time to time, and there are more. You might also be surprised at how many cli-lawyers we have and cli-comedians, and more. Climate is truly a democratic science. Even I can wiggle in! The supporters of The (significant human-made global climate change) Hypothesis are getting very worried now. Even Chris Colose, a staunch supporter and WANABE scientist who used to be prepared to allow comments from sceptics like me on his blog (chriscolose.wordpress.com/) refused to post the following yesterday. It looks as though Harold Lewis (Emeritus Professor of Physics, University of California) hasn’t read your blog yet. He said on 6th October in his resignation letter to the American Physical Society (Note 1) “It is of course, the global warming scam, with the (literally) trillions of dollars driving it, that has corrupted so many scientists, and has carried APS before it like a rogue wave. It is the greatest and most successful pseudoscientific fraud I have seen in my long life as a physicist. Anyone who has the faintest doubt that this is so should force himself to read the ClimateGate documents, which lay it bare. (Montford’s book organizes the facts very well.) I don’t believe that any real physicist, nay scientist, can read that stuff without revulsion. I would almost make that revulsion a definition of the word scientist. So what has the APS, as an organization, done in the face of this challenge? It has accepted the corruption as the norm, and gone along with it”. Of course, Michael E. Mann (director of the Earth System Science Centre at Pennsylvania State University) and his climate change “Hockey team” keep supporting the UN’s propaganda using dubious statistical manipulations. On 8th October in the Washington Post article “Get the anti-science bent out of politics” (Note 2) Mann declared “Overloading the atmosphere with carbon dioxide from burning fossil fuels is heating the planet, shrinking the Arctic ice cap, melting glaciers and raising sea levels. It is leading to more widespread drought, more frequent heat waves and more powerful hurricanes. Even without my work, or that of the entire sub-field of studying past climates, scientists are in broad agreement on the reality of these changes and their near-certain link to human activity”. Here are two highly qualified scientists having totally opposing views about the processes and drivers of global climates. If scientists disagree so vigorously over the validity of The (significant human-made global climate change) Hypothesis is there any wonder that sceptics like me insist that the debate is not over. The Climategate and subsequent IPCC-gate revelations have resulted in intensified and justified criticism of scientists who support The Hypothesis, along with a questioning of their motives. This should not be a surprise to anyone. In the 1970’s we had many scientists telling us that we were heading into a new ice-age. In 1988 we had the contamination of scientific objectivity by political dishonesty when scentist James Hansen (fully supported by producers Tim Wirth and friend Al Gore) offered his scare-mongering prediction of catastrophic global warming at a carefully orchestrated testimony to the US Senate (Note 3) on the carefully selected historically hottest day of the year. In 1989, we had scientist Professor Stephen Schneider (highly respected by staunch supporters of The Hypothesis) saying (Note 4) “ .. Each of us has to decide what the right balance is between being effective and being honest. I hope that means being both”. indicating that in his opinion scientists were not obliged to tell the truth but that he only hoped that they would. Then in 2009 we had the revelations of Climategate (Note 5) indicating that some significant scientists closely connected with the UN’s IPCC had chosen for 19 years to be what they considered to be effective rather than truthful. As Paul Jump says in his article “Don’t let views cloud scientific integrity” (Note 6) QUOTE: Global ethics guidelines set out researchers’ duties to be clear and above board, .. Researchers should make it clear that they are going beyond their professional expertise when they make recommendations about the policy implications of their research, .. The “Singapore Statement” was drawn up before the Second World Conference on Research Integrity, which took place .. in July .. Its 14 universal research “responsibilities” include an injunction to “clearly distinguish professional comments from opinions based on personal views” when taking part in public discussions.” .. UNQUOTE. The latest example of this distortion of the truth by scientists is presented by John O’Sullivan in his Suite101 article “Legal Defeat for Global Warming in Kiwigate Scandal (Note 7). He says “In the climate controversy dubbed Kiwigate New Zealand skeptics inflict shock courtroom defeat on climatologists implicated in temperature data fraud. New Zealand’s government via its National Institute of Water and Atmospheric Research (NIWA) has announced it has nothing to do with the country’s “official” climate record in what commentators are calling a capitulation from the tainted climate reconstruction”. Even hitherto staunch lay supporters of The Hypothesis seem to be waking up to the possibility that this is all an UN-inspired scam. I was delighted to see Graham Land say in his article Last Talks Before Cancun .. (note 8) “If we believe the scientists, that is”. I know Chris, in your “expert” opinion this is “blabbering nonsense” but then, you claim to be one of those knowledgeable scientists that support The Hypothesis, don’t you! Maybe you should have a word with Professor Harold Lewis and show him where he has gone wrong. How did the committees that you mention “whitewash” their findings? Is there any evidence that they did so? Or is it just unsubstantiated rumour in the echo-chamber of “skeptic” blogs? In your post #32, you say that I disparage Jo’s biology degree. Actually what I do do is point to her echoing of a recent article in News Corporation’s The Weekend Australian (2 October 2010 by Graham Lloyd), which disingeniously claims that scientists were not being open and honest about uncertainties (for example the Greenland ice-sheet response to GW and hence sea-level projections, GW projections in particular localities, projections in the temperature rise) until the Royal Society published their climate science summary on 30 September this year. Jo is echoing The Australian’s strategy of trying to manufacture a split in the Royal Society, which the The Australian claims this new summary demonstrates. But anyone who reads the summary report will see that it says exactly what the IPCC’s 2007 WG1 physical sciences basis report asserts, albeit in a 19 page condensed form. Jo claims to be a science journalist, yet in entry after entry she rails against environmental regulation and “leftists”. She’s shown herself to be an ideologue with little interest in science; she may have a biology degree but her real interest is politics. Good on you oh dear. But don’t you feel at all scared taking on the national tabloid? oh dear: ref. your comment on October 11th at 6:58 pm (and John Brookes) suggests that you have a blinkered view of reality. Maybe you’d like to look at my article “CAN THERE BE AN INDEPENDENT INVESTIGATION OF IPCC? update 06/09/2010” and the earlier ones (http://globalpoliticalshenanigans.blogspot.com/) on the subject then get back with justification for your belief that those so-called “investigations” were other than politically motivated whitewashes. I might add that AGW followers don’t like geologists. They happen to bring up inconvenient truths about past warmer climatic periods and greater CO2 atmospheric concentrations during cooler times. Oh dear, they must all be employed by Exxon-Mobil! Ron Kilmartin: ref. comment on October 11th @ 3:50 pm, another prime example is Australian Professor Barry Brook, Chair of Climate Change at Adelaide University and chief scientific advisor to the previous Australian government ion the subject. Although he has demonstrated expertise as a researcher in species extinction I have been unable to find any evidence that he has such expertise in with regards to the processes and drivers of the different global climates (if anyone can show to the contrary then please do). In fact he said last April in an article criticising his Adelaide associate Professor Ian Plimer’s excellent book “Heaven and Earth” that “ .. There are a lot of uncertainties in science, and it is indeed likely that the current consensus on some points of climate science is wrong, or at least sufficiently uncertain that we don’t know anything much useful about processes or drivers. .. ”. For a sceptic like me that is a very significant statement so I asked him several times to clarify what he meant. He refused to respond other than to accuse me of cherry-picking, repeating what he considered to be his full statement, then I was banished from his blog. What Brook considered to be missing was “But EVERYTHING? Or even most things? Take 100 lines of evidence, discard 5 of them, and you’re still left with 95 and large risk management problem. It’s an unscientific and disingenuous claim. As is his oft repeated assertion that a single apparently contradictory piece of information axiomatically overturns all other lines of evidence. Plimer apparently thinks Popperian falsification is the dominant deductive modus operandi in the natural sciences. I’ve got other news for him (I’m happy to email people my full article from BioScience if they email me a request)”. His implication that scientists understand 95% of the processes and drivers of global climates does not appear to have any substance whatsoever. It sounds very like the “expert opinion” probabilities that the IPCC was so fond of in AR4 – in other words, a wild guess. John of Cloverdale WA: ref. your comment on October 11th @ 9:23 pm, Professor Ian Plimer is a Geologist and the supporters of The (significant human-made global climate change) Hypothesis don’t like his opinions one little bit, as evidence on Brook’s bravenwclimate thread “Heaven and Earth”. I can’t reply to all of these “whitewashes” but it is worth noting that Penn used as part of their justification for Mann’s acquittal that he was responsible for attracting many millions of dollars in grants. If that isn’t an admission of science being corrupted by money, nothing is. An obscure American physicist in his dotage falls for the “climategate” scam and you want it reported in the newspapers? The membership comprises (and new members are selected by) the best physical scientists in the US. Why don’t you try restricting your statements to things that you have some (any!) knowledge about. These mindless smears simply make you look like a “useful idiot”. There really is no use arguing with the likes of “Oh Dear” and his/her ilk. Some of the priests of Green have been caught with their pants down? Nonsense! A conspiracy! And our panel of hand-picked Green bishops has cleared them on all counts! The “Oh Dear” inclination to religio-self-delusion is entirely irrational, and thus — alas — can’t be “defeated” by rational argument. This is the same mentality that has led to self-immolation by sundry religious fanatics through the ages. Do you have any counterexamples that reduce the AGW theory to nothing? Since your opposition to AGW is obviously based on pure reason, I’m sure this won’t be so hard for you. Any thoughts on Jo claiming, without evidence, that there is a split in the Royal Society? Or what about her claim that the APS is “fracturing” because some guy who has no expertise in climate science left this organisation of 48 000 members? Seems that her little house of cards has fallen apart at the lightest scrutiny. The ignorance of the dishonest Whitewashing evidence has been completely missed.But that could be because some people have no skill in skepticism at all. Here are a couple of detailed links from Climate Audit,to help those who wonder if it is true that they were dishonest investigations. Just two of many showing that these investigations were terribly conducted. Dishonest or was it incompetent? It is those who claim evidence in support of the AGW hypothesis.Who should be the ones demonstrate that it is a credible hypothesis.Skeptical people only have to point out at least one specific flaw in it and that would be enough.The “HOTSPOT” is one of them and so far there has been NO successful rehabilitation of the hypothesis since then. The few specified claims published in support of the hypothesis have utterly failed.Therefore the hypothesis appears to be failing. Therefore you are now wasting time supporting a flawed hypothesis. This is an excellent audio interview by Lew Rockwell. Lew Rockwell is Chairman of the Mises Institute; school of Austrian Economics in Alabama and is at the forefront of Libertarianism in the US. Well worth a listen. On October 5, 2010, In Podcast, By admin. Tim Ball on the academic and political propaganda behind Algorism, its destruction of dissenters’ lives and careers, its promotion of the total state and world government, and its astounding lies. Yet its lies have been exposed, and its vicious cause pushed back. Dr. Ball explains how, and the lessons for all of us. You claim that the “hotspot” is a flaw in the model. No, the problem historically has been instrument errors and measurement resolution and noise. Indeed, the troposphere hot-spot is not even an artifact exclusively of AGW, but is a more fundamental response to warming, however caused. OH DEAR OH DEAR, it would seem that you missed Joanne’s excellent article on the missing hotspot back in June. Have a read then get back with a retraction of your non-sense. You’re as far off the mark as “oh dear” John Cook. Your devotion to the dogmatic Green worldview (and it’s anti-science catechism) is showing. No one who truly understands science would even pose a question such as “Do you have any counterexamples that reduce the AGW theory to nothing?” The premise itself is not only fatally flawed, but is simply non-sense and non-science. I have no intention of doing your research for you — and for the simple reason that it would be a waste of my time. I have spent many spare hours in pursuit of answers concerning AGW, and have no problem sharing the results with those who actually have an open mind. Indeed, it’s not difficult to find real, hard, fact-based science that casts doubt on most of the tenets of your AGW faith (read: flawed and manipulated statistical nonsense, fraud, deception, propaganda and lies). But, very much like the anti-evolutionists (with whom, alas, I have also had more than my share of encounters), people of your ilk don’t actually care to hear the truly scientific side (read: a devotion to empirical methods no matter where they might lead, open and honest debate — without attempts to censor and censure one’s critics — and a very large and healthy dose of scepticism), and thus anything I might say to religious acolytes such as yourself always ends up ignored and dismissed, followed by either ranting or gamesmanship (your previous post was a fine example of the latter). Just for the record, I come from a family of scientists. I was a anthropogenic global warming agnostic until — due to my observing (not as a participant) some of the aforementioned ranting and gamesmanship by a colleague of mine — I became curious about the subject. This was long before Climategate. My research journey quickly and inevitably led me to a key factor about your climate “experts” which I couldn’t ignore, even if my poor, benighted field of discipline doesn’t make me one of your co-religionists who have “expertise in climate science.” And that factor is simply that too many of the key players were fighting too vigorously to prevent disclosure of their data and methods. This made them either paranoid schizophrenics (which I haven’t entirely ruled out, though diagnosing such disorders is also not within my scope of expertise) or liars (read: non-scientists, no matter their so-called credentials and claims to climate “science” expertise). For what it’s worth, I find your facile dismissal of a respected Phd physicist who has spent a lifetime devoted to science utterly laughable. He may not have all the data at his disposal (I wonder who might be at fault for that, by the way? ), but any real scientist doesn’t have to be an “expert” in a given field to understand SCIENCE — and to recognize the very non-scientific methodology and Green evangelising of Hansen, Mann, Jones et al. Science, unlike your Green religion, is the pursuit of quantifiable data about the physical universe (as best we can know it given our current state of instrumentation and experimental protocols), not an excuse to eat at the public trough or a tool with which to batter those who do not agree with a given political agenda. Family gatherings with Phd physicists, Phd geologists, and even the odd (alas, every family has its black sheep) field archaeologist, has illustrated for me in no uncertain terms that practicing scientists can very much — and very easily — grasp one another’s fields of discipline. Of course it is necessary to actually be practicing science, not propaganda. Thus, I am a devoted sceptic (read: heretic) in relationship to your cult of Green. No salvation for me, I suppose. Say a few “Hail, Marys” (or is it “Hail Gaias”?) for me, will you? Oh, and good luck with your Green trolling. This story is nothing…in the days since this story broke Michael (the Hokey Stick-boot lick) Mann has published a Washington Post Editorial promoting support of all Democrats in the upcoming mid-term election, on the basis that Republicans are planning “investigations into climate science”. Read that again. A scientist is claiming that one political party is more favorable to (his) science because the other would (say it isn’t so) INVESTIGATE the validity of his scientific claims! PRICELESS!!!! If Michael Mann is so worried about someone else investigating his science MAYBE HE SHOULD HAVE INVESTIGATED IT HIMSELF. Like preferably before he published it or claimed the end of the world was nigh. Isn’t that was science is, investigation? WTF does he think HE’S supposed to be doing? Writing editorials on political races apparently. Lionel is sadly right. I said it myself the day I graduated from a college of 30,000 with just FOUR other physics majors. “Science” is an dead. What remains is a sloppy fake of what it used to be. The real thing was broken and tossed in the trash long ago. At the exact moment the first taxpayer penny was passed to the Michael Mann’s of the world. Geo, my sentiments entirely. I started out as an agnostic about The (significant human-made global climate change) Hypothesis 3 1/2 years ago after reading a Sunday Times review of Mark Lynas’s propaganda booklet “Six degree: Our Future on a Hotter Plane”. The review left me very concerned about the future for my children and grandchildren. Since then I have become more and more sceptical about The Hypothesis as I learn more about the subject. Hey Geo! So very well said. My background is mostly in Geology and that is why I was a skeptic the first time I heard the words “global” and “warming” put together (my exact remark rhymes with fullfit). I knew long before 1988 that we are in what is known in geology circles as and “interglacial” and that it is supposed to be getting warmer. Apparently science died shortly after I graduated. Not only that they along with John Christy and Roy Spencer have moved away from some of the channels due to increasing drift errors and are now using the newer Aqua satellite.The one that does NOT drift at all.That satellite STILL does not see a “hotspot” either. Then we have Radio Sonde that also fails to see the “hotspot”.They agree quite well with stable satellite data output. Simple question for you: why not? The premise itself is not only fatally flawed, but is simply non-sense and non-science. Which premise? How is it fatally flawed? How is it “non-science”? Please provide solid evidence for your claims. I find your facile dismissal of a respected Phd physicist who has spent a lifetime devoted to science utterly laughable. Why? The guy isn’t even a climate expert – he’s a nuclear physicist. And what about your dismissal of “Hansen, Mann, Jones et al”, PhD scientists who have devoted their lives to science, and who actually are climate experts? My research journey quickly and inevitably led me to a key factor about your climate “experts” which I couldn’t ignore…that factor is simply that too many of the key players were fighting too vigorously to prevent disclosure of their data and methods. I am a devoted sceptic (read: heretic) in relationship to your cult of Green. You’ve betrayed yourself as nothing more than a political hack – I’m confident you don’t even know what true skepticism is. A scientist is claiming that one political party is more favorable to (his) science because the other would (say it isn’t so) INVESTIGATE the validity of his scientific claims! PRICELESS!!!! And then there is the case of Republican Cuccinelli’s politically motivated witch-hunt of scientists. Why would scientists endorse an anti-scientific party? If greenhouses gases are warming the planet that warming will happen first in the cold blob of air 8-12 km above the tropics. Actually, the troposphere warming will be found if there is any warming, regardless of whether it is caused by AGW. it’s the fingerprint of greenhouse gas warming, as opposed to warming by some other cause, like solar magnetic effects, volcanic eruptions, solar irradiance, or ozone depletion etc etc. Her entire argument is based on this flawed premise. That blog entry is another con-job that has obviously fooled you. Who is Hal Lewis? Does he even exist? Idiot Climate Deniers reach a new low. did a chill brush your neck? sunsettommy, thanks for the lik to that APS response and Motl’s reaction to it. This UN-inspired scam is well and truly collapsing, thanks to the UEA CRU whistle blower and the dilligent researchers who followed up and increased the extent of exposure of this scandal. OH DEAR OH DEAR, ref. your comment on October 14th at 11:14 am, perhaps you’d like to give us the benefit of your expert opinion on the comment by those other self-proclaimed experts at the Union of Concerned Scientists (Note 1). They say in Fingerprint 2: The Atmosphere Shifts that “Recent research shows that human activities have lifted .. the troposphere .. The rising tropopause marks another human fingerprint on Earth’s climate. .. scientists compared two natural drivers of climate (solar changes and volcanic aerosols) and three human drivers of climate (heat-trapping emissions, aerosol pollution, and ozone depletion), altering these one at a time in their sophisticated models. Changes in the sun during the twentieth century have warmed both the troposphere and stratosphere. But human activities have increased heat-trapping emissions and decreased stratospheric ozone. This has led to the troposphere warming more because the increase in heat-trapping emissions is trapping more of Earth’s outgoing heat. The stratosphere has cooled more because there is less ozone to absorb incoming sunlight to heat up the stratosphere. Both these effects combine to shift the boundary upward. Over the period 1979-1999, a study shows that human-induced changes in heat-trapping emissions and ozone account for more than 80 percent of the rise in tropopause height. …”. I find similar comments by the IPCC “experts” (Note 2) derived from AR4, WG1, “There has been robust detection and attribution of anthropogenic influence on tropospheric warming, which does not depend on including stratospheric cooling in the fingerprint pattern of response. There are observational uncertainties in radiosonde and satellite records. Models generally predict a relative warming of the free troposphere compared to the surface in the tropics since 1979, which is not seen in the radiosonde record (possibly due to uncertainties in the radiosonde record) but is seen in one version of the satellite record, although not others”. It is all so confusing for a layperson like me. I need an expert like you to explain it so go ahead. BTW, please do so without depending upon those damned computer models, which are based upon unfounded assumptions made to fill in the knowledge gaps about those poorly understood processes and drivers of global climates. When I read things like “Substantial uncertainties in reconstructions and past forcings are unlikely to lead to a spurious agreement between temperature reconstructions and forcing reconstructions as they are derived from independent proxies” I lose confidence in those models. Is there any wonder that I believe that I’m being conned by the UN and its followers? OH DEAR OH DEAR, ref your comment ??? (couldn’t find it here but received in E-mail) You have evidence “that 60% of Republicans believe that humans in their present form were created by God in the last 10 000 years” or do you just believe everything that you read in books? OK, AGW is nonsense we know that but will the rabid libertarians stop pretending that it’s only governments that fund this psuedoscience, that is just rubbish, and this idea that some how private interests in some delusional libertarian paradise will bring some sort of new devotion to truth and integrity in the scientific community is just a fantasy. Private interests run the government already, the devotion to profit and control is not just the province of government in fact governments were instituted to protect people from the ravages of rampant private greed. Yes our governments have been corrupted and no longer serve us but if anyone thinking that allowing corporate greed to run rampant will fix things, like the libertarians would have us believe is a fool. Climate skepticism is not a right wing issue, it’s about truth and the fundamental underpinnings of science, will you libertarians please stop promoting your stupid reflexive dogma in the debate as if it was the solution, it isn’t and it has nothing to do with the real issues. Libertarians are rich white spoiled little brats that have lived privileged lives and want to protect them, I’d like to see how quickly they start screaming for protection if their libertarian fantasy ever did become a reality. This is the final nail in the coffin of AGW. The warmists are in retreat, and we’ve won. Now we can sit back, drink champagne and break out our copies of Atlas Shrugged to settle down to a good read. Careful Andrew, Strum may take offense if he believes you are espousing independency. You know us rich white brats who have no idea what we really want. According to Strum we would be much better off with a nanny state mapping out our days. God knows that my ancestors who settled this country could not have done it without government aid. We could not possibly be smart or industrious enough to make our own way with minimal government interference. I have been gainfully employed since I was ten years old without any work programs and worked my way from the bottom and never taken a dime of government money, but that means nothing, I need a nanny. There is a pervading stench of hog excrement (nothing whatsoever to do with the Thompson family) caused by too many snouts at the government-funded AGW trough, and a sinister suspicion that politicians are being manipulated by other powerful people in the murky background. Two erstwhile well-respected institutions, the APS and the Royal Society of UK have made their positions clearly in the AGW lobby, flying in the face of their own constitutions let alone the support that their membership expects. Readers may like to see Lord Christopher Monckton’s several lucid video clips, with one in particular that demonstrates that there would appear to be sinister forces at work; certainly in Europe. Well, given that 60% of Republicans believe that humans in their present form were creatd by God in the last 10 000 years, what would you expect? Does Jo’s censorship of this sentence give some indication of the nature her political allegiances or pseudoscientific beliefs? it appears that Oh Dear likes to be off topic and pollute the thread with drivel. Oh Dear, did you have a link to this poll in your “original sentence”? Was it on topic? I’m sure it does to you! But of course you are free to imagine anything your little mind wants right? Now back to this Gallop poll (your recent post). If you are attempting to malign Republicans based on creation, don’t you find it depressing that Independents and Democrats also overwhelmingly Believe? a whopping 77% of Democrats and 76% of Independents believe God has something to do with it! So what is the point you are making? or is Jo right to [Snip] you? I wasn’t saying that 60% of Republicans believe God had something to do with creation. I’m saying that 60% of Republicans believe that humans were created in their present form in the last 10 000 years. Only 4% of Republicans believe that God had nothing to do with creation. The Gallup poll shows that 38% of Democrats believe that humans were created in their present form in the last 10 000 years. What has this got to do with anything? The Republican party tends to be an unscientific/antiscientific party. It relates to a point someone made about scientists endorsing the Democrats. Another interesting poll is on global warming. 30% of conservatives believe that global warming is currently occurring. 74% of liberals believe it is currently occurring. The question is, why is there such a political divide? Do you have answers, Mark? The Republican party tends to be an unscientific/antiscientific party. And what is your proof for this slander? Once again, I’m sure you find reality depressing don’t you? -finding out that Republicans are better educated making it harder to fool them. Of course all the above assumes that you REALLY have an interest in learning. Réchauffement médiatique » Blog Archive » Ça brasse à l’APS!